It means that explanation needs to be enhanced to be more than just a set of statements to describe facts which lead to causes within contexts, which then lead to outcomes. Enhanced explanation means not only describing a market offering, but how it will benefit a market from the perspective of the market. To a highly capable entrepreneur who understands market needs, wants and desires, the idea to explain something further may be an unexpected requirement, but necessary to fire people’s imagination. When Steve Jobs introduced the original iPod, featuring a 5GB hard drive, few people understood what 5GB meant. So Jobs came out with the slogan “1000 Songs in Your Pocket” – a number with which everyone could identify – to which 5GB could be related. Proclaiming achievements is a temptation for the successful, but great entrepreneurs have wisdom for restraint. They listen more than they talk. They listen to their customers – analyse, test ideas, and then implement. People like Elon Musk (PayPal, Tesla Motors, and SpaceX) or Larry Page (Google) produce innovative, valuable and attractive products and services as a consequence of listening to and responding to markets. “What people in business think they know about the customer and market is more likely to be wrong than right. There is only one person who really knows: the customer. Only by asking the customer, by watching him, by trying to understand his behaviour can one find out who he is, what he does, how he buys, what he expects, what he values and so on. The customer rarely buys what the business thinks it sells him. One reason for this is, of course, that nobody pays for a product. What are paid for are satisfactions. But make or supply satisfactions as such – at best, only the means to attaining them can be sold and delivered”. The starting point to acquire customer understanding is listening. Yet we have more distractions to listening than at any time. No longer is it purely the teenager at the dinner table distracted by their phone. We all carry smartphones that ping messages which beg to be read. Listening is probably one of the most underrated and unexpected of entrepreneurial activities. It means putting one’s own ideas, desires and smartphones aside to concentrate on what someone is saying. Being a good listener is a key attribute of any entrepreneur. There is no better way to explain a product, service or idea than in a scenario to which everyone can relate. If the scenario is emotional, so much the better. Research shows that one of the best ways to capture people’s attention is to construct an emotional narrative along the lines of human struggle, endeavour and achievement. Psychopaths aside, all of us are interested, motivated and affected by such stories. From a business viewpoint, telling stories is likely to result in customer understanding, empathy and message retention. Undoubtedly, emotional stories work. For instance, employees are more interested in how their company’s products may improve people’s lives, rather than by the methods their company deploys to make profit. How technology can help partially blind people is more captivating than the details of the technology itself – at least in the first instance. In the second instance, people are likely to want to know how the technology works, how much it costs, how it can be funded, when it can be deployed, how far and wide it can be applied, and so on. But the point about using emotional narrative is that the majority of people wouldn’t have reached the second stage, without being influenced, affected and motivated by the emotional benefits understood in the first stage. Unsurprisingly, the most shared ads of 2015 were driven by emotional content. Whether it is an ad for a washing powder or for a technology, emotional stories are more likely to generate greater interest in products, services or ideas, than other methods. The more times the potential customer reads, hears and understands the same points, the greater the likelihood that they will remember them. The starting point for persuasion should always be from a place of agreement. For instance: “All of us want to work together to resolve this problem” may be a good basis provided it is true, and that everyone recognises the problem. Providing that people do not hold a conflicting viewpoint, it is more likely that they will ultimately agree and identify with the entrepreneur’s subsequent statements. Statements should be made at all levels within marketing material. “Margin Callouts” are good to reinforce statements made in copy. An entrepreneurs’ readers are more likely to agree with statements if a reason is given as to why. One of the best words entrepreneurs should use is “because”. Hearing about the positive experience of others for taking a particular course of action is a powerful influence on a market. If the entrepreneur can make reference to a customer who has benefited from the course of action you propose, it gives credibility. The entrepreneurs’ message and approach must be consistent throughout his approach to the market. The entrepreneur should to refer to successful organisations who have adopted the ideas the entrepreneur proposes. Today’s entrepreneurs can do no better than to adopt the presentation techniques of one of the greatest entrepreneurs of all time: Steve Jobs. No entrepreneur comes close to Jobs’ ability to present information which informs, inspires and sells to such an audience-compelling extent. A key element of Jobs’ delivery was the introduction of emotion into his presentations. He would tell a story. He would also act, be passionate and dramatic, but his fundamental technique to gain people’s attention was to tell a story. 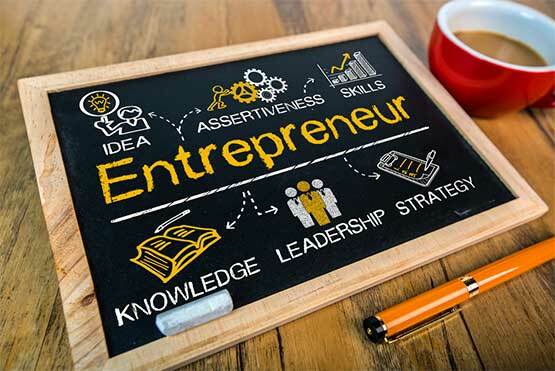 It is a technique all entrepreneurs should adopt to promote their offerings as per point 3 earlier in this piece. Yet telling stories has to be one of the most unexpected things you would think an entrepreneur would have to do.